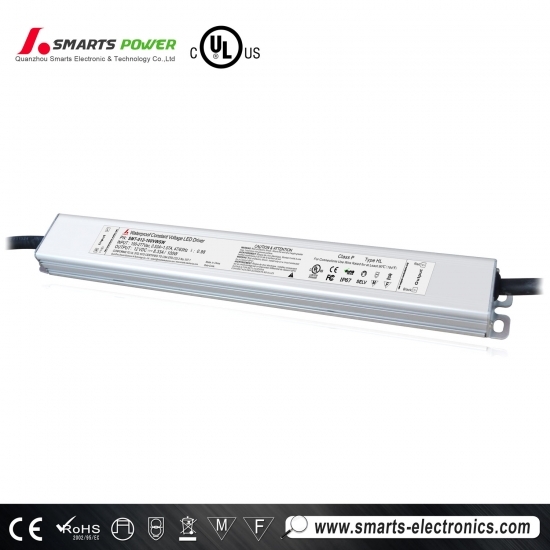 UL/cUL Certification Super Slim Size LED Driver suitable for the projects which have size limitation. Such as LED Mirror Lighting. 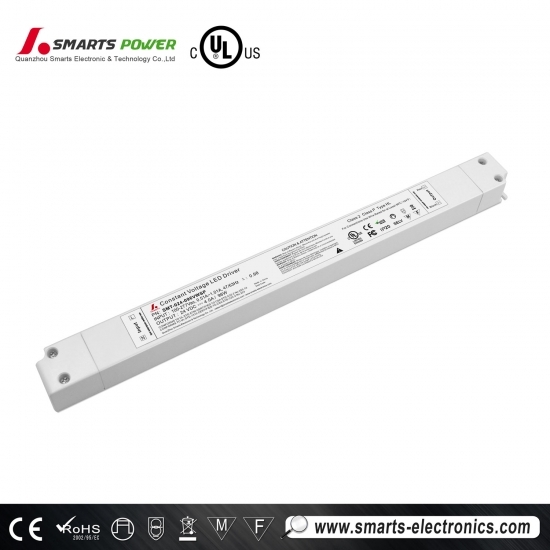 SMARTS's SMT-036-096VWSW LED Driver is the perfect choice for use in Hospitals, Schools, and Shopping Malls or for any commercial application that 277V is present. 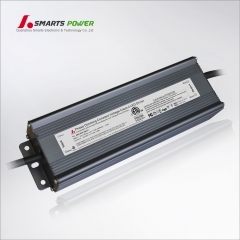 This series of ultra slim constant voltage led driver has 12v, 24v, 36v and 48v for selection. The wattage from 30 watt to 100 watt and has got UL certificated. 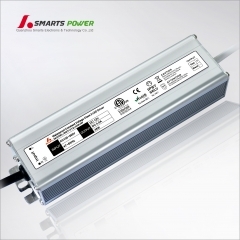 There is non minimum load for this 48v 96w constant voltage led driver, you can connect any load between 1w to 96w. 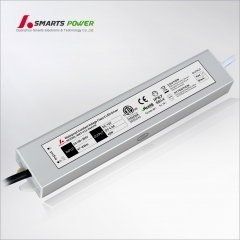 This ultra slim type constant voltage waterproof led power supply is UL, cUL listed, Class 2, Class P, CE, ROHS approval which is popular for the US market. 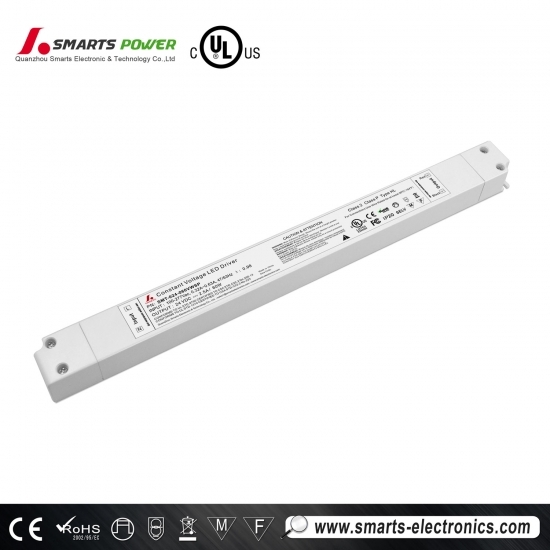 Smarts electronic has launched a new series constant voltage led driver which has got UL C, ROHS application for US and EU market, it is ultra slim type that can be meet your space constraints. 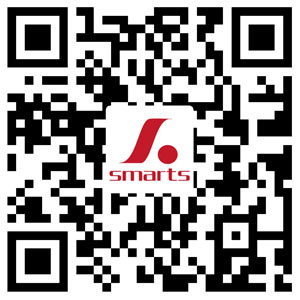 Smarts Electronics is a leading China manufacturer of the UL/ETL listed LED drivers available in the world. Their focus has always been providing LED driver technology that doesn't waste energy, is reliable, versatile, made in China and affordable. 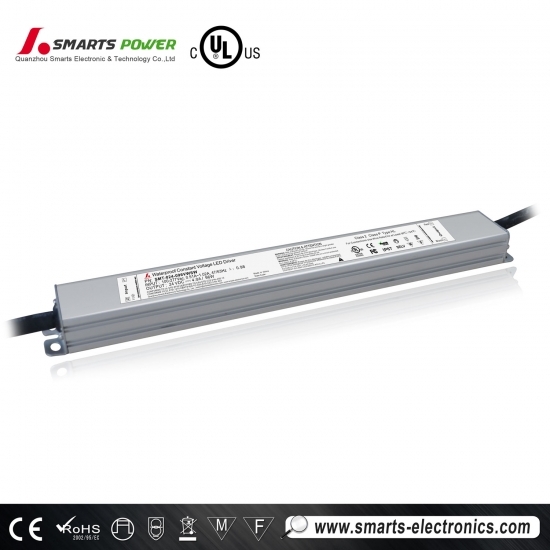 This 60w ultra thin led driver has 12v 24v 36v 48v output constant voltage for selection. 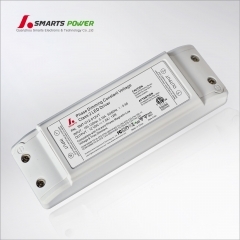 This UL approval SMARTS 60 watt constant voltage led driver is IP20 design for indoor dry environment installations. Our 36 watt led driver is designed to power low voltage (12v DC & 24v DC) LED bulbs and strip lighting.